New Practical Chinese Reader is the most popular textbook used to teach Chinese in universities all over the United States. 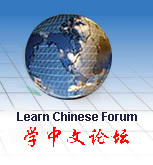 Designed for native English speakers to learn Chinese, the objective of this textbook, and its companion workbooks, is to develop the student's ability to communicate using Chinese through the study of language structure, language function, and related cultural knowledge along with the training of listening, speaking, reading and writing skills. Instructor’s manual is available too. In every lesson, the following sections are present: Text, New Words, Notes, Conversation Practice, Reading Comprehension, Phonetics, Grammar, Characters and Cultural Notes. The book uses several fictional characters in different situations to make the Chinese learning experience more enjoyable. The series consists of seventy lessons in six volumes. The first four volumes, consisting of fifty lessons, are for beginners and pre-intermediate level learners. The last two contain twenty lessons for learners at an intermediate level. This order is for textbook volume Three & DVD (volume Three) together. Recommend playing devices: Computer with DVD drive. 27. Living on the Same Way as Natives. 28. Small Gift means a lot. 30. They Are Practicing TaiJi Sward! 31. Chinese Named It Mother River. 32. Don't Ask Private Questions. 33. Protecting The Environment Is Protecting Us. 34. Legacy of Goddess Mountain. 35. Lets Me Drive The Car For Now. 36. Weather In Beijing Is Hot Now. 37. Who Is Going To Pay The Meal? 38. How to Address the Parent-In-Law If You Married a Chinese.